Your team uses Jira to manage tasks. But test cases and requirements are often managed in other tools — and in many cases, maintained in Microsoft Office. That makes it difficult to get insight into what the requirements are and whether they’ve been approved (unless you manually upload a requirements document to your Jira task). And it’s a challenge to see what the test case is and whether or not a test run has passed or failed. It doesn’t have to be that way anymore. ALM tools and Jira should work together. 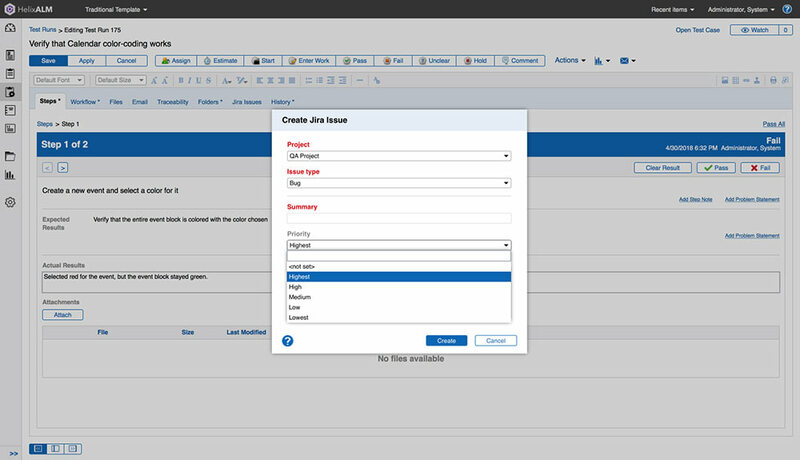 Helix ALM makes it easy to get visibility into your requirements and test cases from Jira. That’s because Helix ALM — and its modules Helix RM, Helix TCM, and Helix IM — comes with an out-of-the-box Jira integration. Connect Jira issues to requirements. Link Jira issues to test cases and test runs. Keep working with the tools you prefer. You can keep managing your issues in Jira. With this ALM Jira integration, you’ll be able to see the status of your Jira issues from Helix ALM. That means that no matter which application you’re in — Helix ALM or Jira — you’ll be up-to-date on your project status. Plus, this makes it easy to link Jira issues with other artifacts in the development lifecycle. Let’s say you run a test in Helix ALM (or in the Helix TCM module). If the test fails, you’ll be able to create a Jira issue from the results. When you switch to Jira, you’ll see that the new issue has been logged successfully. 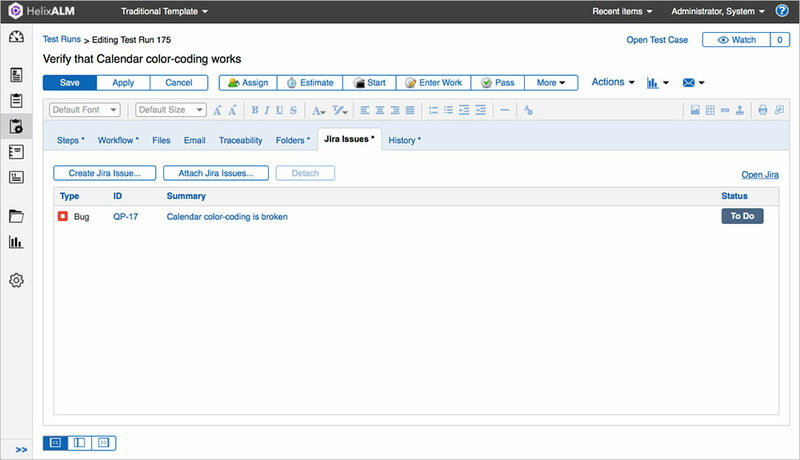 Test case management tools that integrate with Jira help you stay in the loop on issues. And that makes it easier to create traceability from testing to issue resolution. When you’re managing requirements in Helix ALM (or in the Helix RM module), it’s easy to link them to Jira tasks. 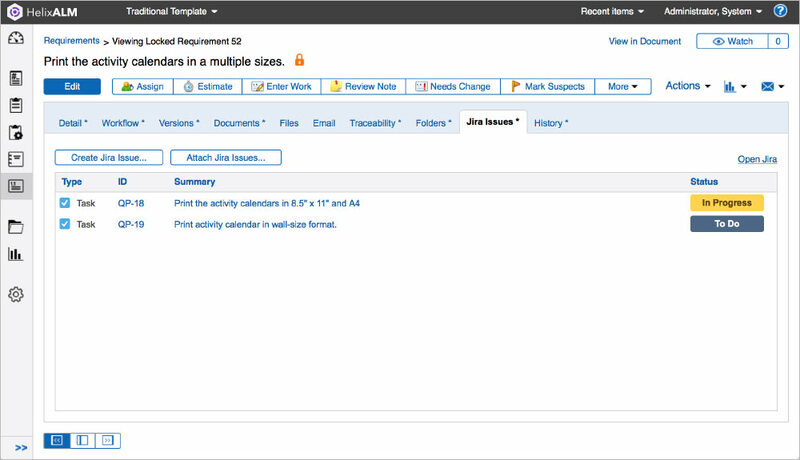 Once a requirement is set, you’ll be able to see it in Jira. You can then create a Jira task based on that requirement. Requirements management tools for Jira give you visibility over whether requirements have been assigned and met. This makes it easier to stay on track for releases. And it helps you prove compliance. No extra costs. Easy installation. 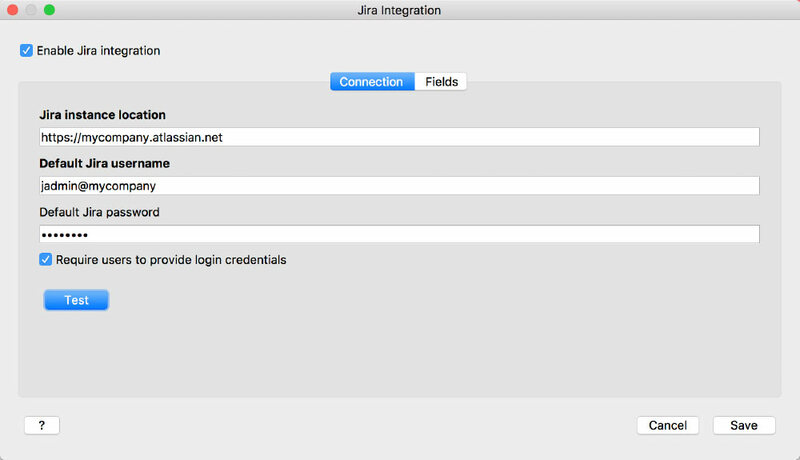 In fact, you can set up and test your ALM Jira integration in less than five minutes. Need to Integrate with Other Tools? Helix ALM offers integrations with other development tools. Source control tools, such as Git and Helix Core. Test automation tools, such as Selenium. IDE tools, such as Microsoft Visual Studio. And that's just the beginning. Plus, Helix ALM can integrate with everyday business tools, including Microsoft Office. You can even build your own integrations using the Helix ALM API (REST API). By integrating your toolset, you’ll be able to help your team develop quality products faster. Try Helix ALM free for 30 days. You’ll see for yourself how easy it is to integrate Helix ALM with Jira and other tools.